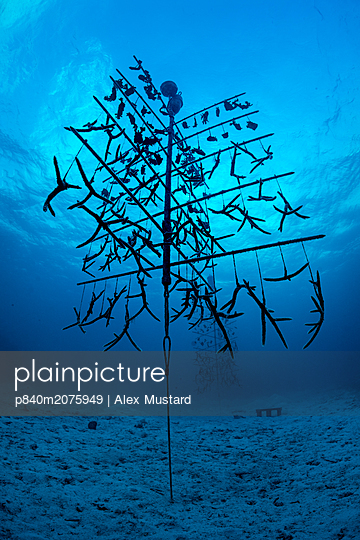 p840m2075949 - RS - Fragments of elkhorn coral (Acropora palmata) and staghorn coral: Acropora cervicornisgrowing, hung on coral propagation tree, as part of a coral conservation nursery project. East End, Grand Cayman. Cayman Islands, British West Indies. Caribbean Sea.